BRANSON – Seventeen people, including children, died yesterday (July 19) after a sudden violent storm capsized a “duck boat” on Table Rock Lake near the tourist hotspot of Branson, Mo. The tragedy prompted a response from Missouri Disaster Relief (DR) today, as well as from other Southern Baptists in the region. Branson is known among tourists for its “duck boats,” which can travel both on land and in the water. Two boats were still in the water yesterday at Table Rock Lake, when a fast-moving storm brought winds in excess of 60 mph and caused three-foot waves on the lake. 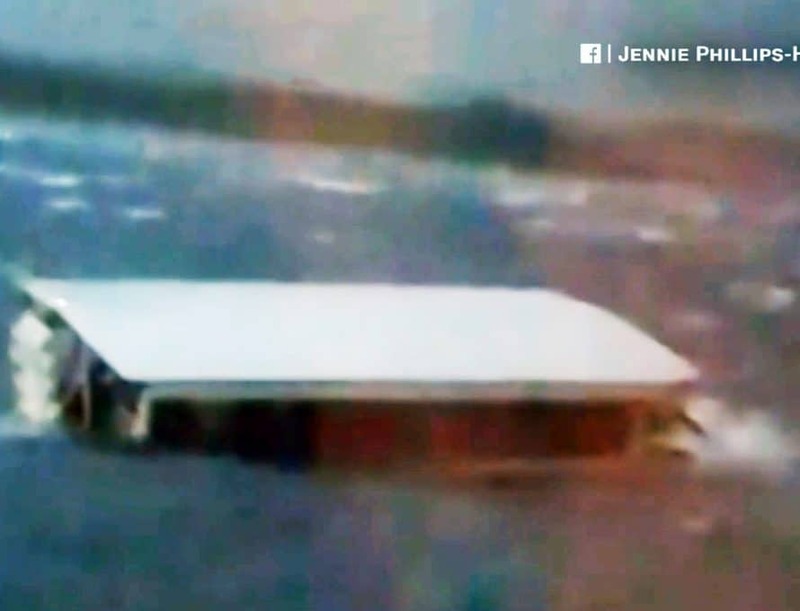 One of the boats was able to make it back to shore but another — carrying 31 passengers — struggled amid the waves and was finally capsized. The 17 who died included people from 1 to 70 years old, according to the Missouri State Highway Patrol. Four adults and three children were hospitalized, and two remained in critical condition last night, according to Fox News. Other passengers had only minor injuries. “Our hearts grieve for those people and families involved in the tragedy in Branson last night with the capsizing of one of the ‘Ducks,'” John Yeats, executive director of the Missouri Baptist Convention, said in a written statement to MBC staff this morning. “Pray for these folks and pray for churches in the area. Some of the victims on board were not from the Branson area. Pray for those families and for the churches where they lived that grief ministry may occur. This is a tragic loss,” Yeats said. Ron Crow, associate state director for Missouri DR, arrived on scene late this morning to assess needs following the accident. He is joined in Branson by DR chaplain Ann Stevenson, a member of First Baptist Church in Richland, Mo., with her trained therapy dog Steele. Phil Shuford, associational mission strategist (formerly director of missions) for the Tri-County Southern Baptist Association, said many Baptists in the region were involved directly with relief efforts in the aftermath of the tragedy. “If you are like me, your heart is breaking over the tragedy that occurred so suddenly yesterday evening on Table Rock Lake in the southern part of the Tri-County Baptist Association,” Shuford wrote in an email message to his association this morning. “This accident, that has touched the heart of the nation, hits especially hard at home,” he added. “Many of the first responders involved in rescue, recovery and assessment are fellow believers and are either members of (or family members of) Tri-County churches. Theirs is an unimaginable burden…. Shuford told The Pathway, the MBC’s newsjournal, that he’s on standby to help Missouri DR as ministry needs are identified. Meanwhile, he encourages Southern Baptists to pray for families involved in the accident, as well as for first responders. Last night, the Branson police department’s chaplain asked area pastors to gather at Branson’s city hall, where they could be available to pray with and minister to those affected by the tragedy. Monty Dunn, pastor of Friendly Baptist Church in Branson, was among those who answered the call. Dunn told The Pathway that his was simply a ministry of “presence.” Alongside multiple other pastors, he made himself available until about midnight and then gave his phone number to first responders in case he was needed later.